This book is a compilation of the best stories from Habus, maintainers and engineers, all relating their personal experiences while flying and working on the Blackbirds. 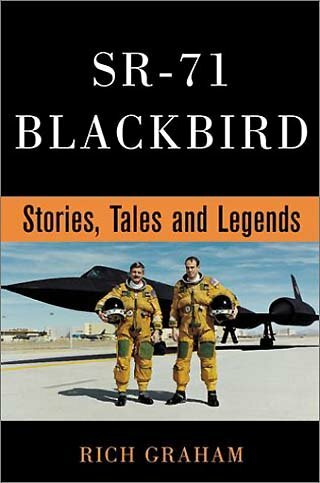 The book chronologically walks through the history of the Blackbird program, as told by 17 individual authors. It begins with Ken Collins and the early CIA days of the A-12 program and ends with a final chapter from Major Mike "Zman" Zimmerman, the SR-71 Reactivation Program Manager. In chapter order, the stories are told by Ken Collins, Donn Byrnes, Dave Dempster, Pat Halloran, Tony Bevacqua, Jim Shelton, Al Cirino, Don Emmons, Jack Veth, Lee Shelton, Steve Koren, Frank Stampf, Gil Bertelson, Curt Osterheld, Geno Quist, Ed Yeilding, and Mike Zimmerman. The reader will hear firsthand accounts of the very first ejection from a Blackbird, to the last one (off the coast of the Philippines), from the pilots who ejected. The initial cadre of Blackbird crewmembers were hand-picked, and you will truly understand what it took to be the "best of the best." The first operational mission, in excess of 11 hours, is thoroughly covered with details that will make you feel as if you are onboard the Blackbird itself. You will read the painstaking process of how maintenance got an SR-71 mission ready. Much of the camaraderie we shared as Blackbird crews had a humorous side and is related time and again throughout the book. You will hear from former SR-71 crewmembers who tried to save the SR-71 from a premature retirement, and what battles they had to overcome in the halls of the Pentagon. Most of all, you will enjoy the differences in styles as each author tells his own sagas.